The Thomas Hunt Morgan Medal is awarded to an individual member of the Genetics Society of America for lifetime achievement in the field of genetics. It recognizes the full body of work of an exceptional geneticist. The 2017 recipient is Richard C. Lewontin, whose contributions and influence have profoundly shaped the field of evolutionary genetics. As a testament to this legacy, his nomination for the Morgan Medal was co-signed by 160 faculty members from around the world. A student of Theodosius Dobzhansky, Lewontin’s early work established the two-locus theory, which laid the foundation for our understanding of linkage disequilibrium. In the 1960s, he collaborated with biochemist Jack Hubby on a method to quantify natural genetic variation using protein gel electrophoresis. This approach helped launch the field of molecular evolution and spurred a great influx of data into a formerly theory-dominated domain. 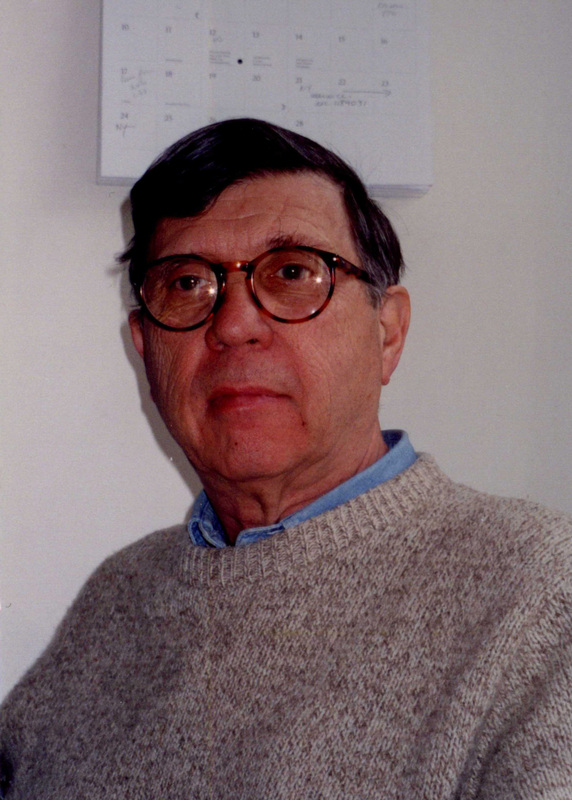 The subsequent contributions of Lewontin and his group helped set the stage for much of modern population genetics and genomics research. As well as this direct impact, Lewontin influenced the field through his guidance and inspiration, as well as through his capacity to spur vigorous but productive debates. His prominent role as a writer and social commentator included highlighting problems with the inference of heritability, concepts of race, and the overemphasis of genetic influences on phenotypes. This interview was published in the December 2017 issue of GENETICS. I had an inspiring high school biology teacher. He was a very charismatic person who had a suite of students who followed him around every day—both my wife and I were among them. What drew you to studying evolutionary genetics? To be honest, I don’t remember! I don’t think it was because the problems of evolution per se were more interesting to me than other biology problems. Most of the influences on my career came from particularly charismatic teachers. I was a student of Theodosius Dobzhansky, and he was a very inspiring professor, as was the geneticist Leslie Dunn, whose lab I worked in tending mice. I think that’s what it comes down to. They were people who impressed me greatly, and I followed their path. What was it like to be a student of Dobzhansky’s? One didn’t see a great deal of him because he spent a lot of time in Brazil and other places collecting flies. But when he was at Columbia, he sat every day at his microscope looking at fly chromosomes, and you would sit down next to him while he was peering down the microscope and have discussions with him about various questions you had. I think it was the possibility of having that intimate relationship with a powerful mentor that was very important to me. Also important to the experience was the general physical atmosphere: two or three of us would share a big room together and would have our own world with our libraries and our tables. Dobzhansky was often away, and we led a pretty independent life. I chose my own PhD thesis, I could argue with him and fight with him and tell him he was out of his mind. It was an environment in which graduate students felt free to do what they thought was best. Many of today’s prominent evolutionary and population geneticists trace their “academic lineage” back to your lab. What do you think was special about your group? What advice would you give to other mentors? The atmosphere was a group of interacting equals rather than a professor telling people what to do. I would never dream of assigning a thesis to a student, for example. I also happened to have had some experience in statistics so I was able to help students deal with theoretical problems as well as experimental ones. The advice I would give is not to try to direct the work of your students and associates, but to encourage them to do their own thinking and to invent their own problems. I think giving students responsibility and freedom is important. It’s also desirable to have a good knowledge of mathematics and statistics. That kind of training was very helpful in my life. Though it isn’t necessary; Dobzhansky could barely add two and two! What advice do you have for the readers of GENETICS? Not to overemphasize the determining power of genes in either behavior or development. The basic truth about genetics is that organisms are the consequence of complex interactions between internal genetic factors and external influences. It’s only by observation and experiment that you can know how important each influence is. I would add that genotype and environment interactions are not complete as an explanation because there are also random developmental effects that are orthogonal to genotype and environment. It’s an oversimplification to say your behavior is a consequence of genotype and environment—that’s kind of vacuous! There’s a tremendous amount of behavior that is ununderstood (not misunderstood), things for which we have no satisfactory explanation. Why did I decide to become a geneticist? I don’t have the foggiest notion. There are a lot of random connections of neurons, and these give rise to patterns for which we try to invent explanations. These attempts to find simplistic, formulaic explanations for phenotypes leave out of consideration random factors. I’ve done a lot of experiments, particularly as a student, that show that even when you control the environment and genotype of an organism that there’s still a lot of variation between replicated organisms all growing up in the same test tube. This is the result of random molecular events that occur in development. And when you talk about the central nervous system, since we really don’t understand it, we don’t know how important random connections of neurons are in determining our understanding, our attitudes, our behavior, our intelligence, anything. The central nervous systems is one of the great unsolved mysteries of biology. There’s so much we don’t have an explanation for in the development of our thoughts and attitudes and abilities. We may never have an explanation. You have to live with that; no matter how much you’re committed to science, there’s a hell of a lot no one will ever understand.